GE recently announced that its new chief communications officer will be Deirdre Latour, as the man currently filling the position, Gary Sheffer, will retire at the end of 2015. Gary Sheffer has worked at GE for 16 years. For 12 of those years, he served on the GE Communications and Public Affairs team. Sheffer previously worked in government communications and journalism for 17 years. During that time he was a press aide to two governors of New York. In 1999, he joined GE’s team, where he helped the global communications and public affairs function and worked on two campaigns, Ecomagination and GE Works. Deirdre Latour will shift from her position as senior director of external communications at GE to the chief communications officer role on April 1, 2015. Since 2013, Latour has been the senior director of external communications, where she built and executed a strategy of communications that enhanced and protected GE’s name. The strategy handled issues, crisis management, financial communications and external communications for the CEO, CMO and CFO. Beginning on April 1, she will serve the global side of GE’s communications, such as executive communications, functional talent development, internal and external communications, public affairs and public relations. 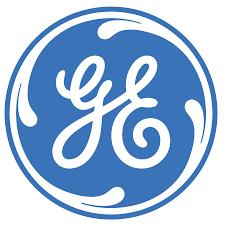 Want to get notified whenever we write about General Electric ? Next time we write about General Electric, we'll email you a link to the story. You may edit your settings or unsubscribe at any time.